Would you remove all your teeth to set this record? The man obsessed with setting world records removed all his teeth to set yet another one. Meet the man who has set more than 20 World Records and has added a new one to his collection. 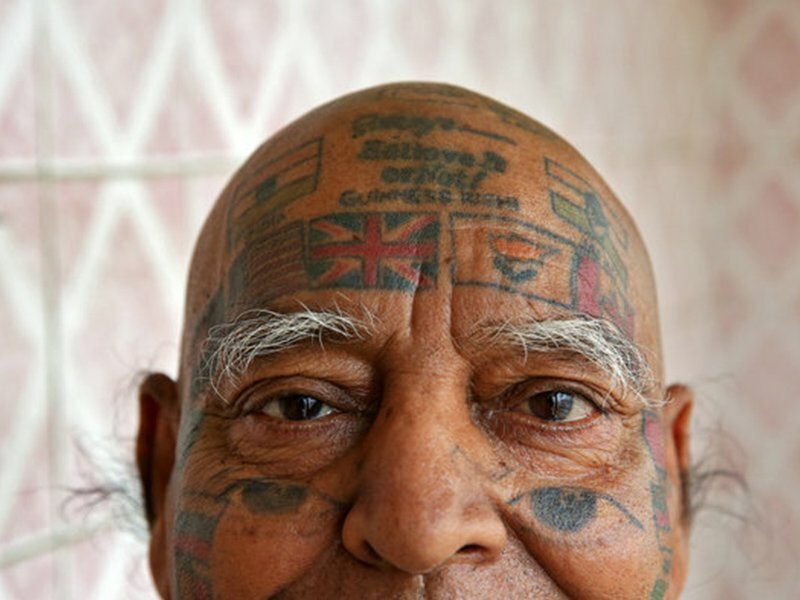 This man from New Delhi, obsessed with setting Guinness World Records, has 366 flags tattooed on his body and had all his teeth removed so he could put nearly 500 drinking straws and more than 50 burning candles in his mouth! He's set so many records. Har Parkash Rishi now calls himself Guinness Rishi. He claims to have set more than 20 world records and aims to set more. “I am the world record holder of 496 straws in my mouth ... For that record, I needed space, I had to remove every tooth so that I could put maximum straws in my mouth,” Rishi told Reuters Television. Rishi first got into the Guinness Book of World Records in 1990 when, with two friends, he rode a scooter for 1,001 hours. There's no stopping this man!